… with all the commercialisation around Shrove Tuesday it’s hard to remember that we celebrate Pancake Day and Mardis Gras (Fat Tuesday) for a reason… with Wednesday being the start of Lent, the day is all about one final indulgence in everything that’s bad for us and a chance to clean our ‘houses’ of those things that will tempt us. In the Jewish faith the festival of Passover, a little later in the Spring, also has a similar cleansing theme and I guess at one time in history when supermarkets and refrigeration didn’t exist it all made sense. As it happens it’s actually a great excuse for a Spring clean and to use up any ingredients that may soon be going out of date. I know that i’m such an ingredient hoarder and there’s always the odd random packet of something left-over from Christmas that could easily make its way into a cake or pudding without killing anyone! I'm intrigued to try these, thanks! I've seen this combination on Pinterest, and always wondered if it works, now I know. 🙂 Amazing that you don't need any flour. What a fantastic picture Dom. Not sure I can await until tomorrow for pancakes now. I've tried making pancakes with just these two ingredients and they worked a treat. What's a nutribullet when it's at home? Amazing that these are made from just bananas and eggs, they sound really good. I'll always have the ingredients for them in the house! Only banana and eggs no way!!! I shall not mention the N word as I am Froothie all the way. You won't believe this woman's pancake reaction! I too get sucked into those Upworthy style posts only to be disappointed…that said, I genuinely couldn't believe you can make pancakes out of just bananas and eggs. They look really good! Have been contemplating a Nutribullet but I really don't want to annoy the neighbours at 6:30am blending fruit! 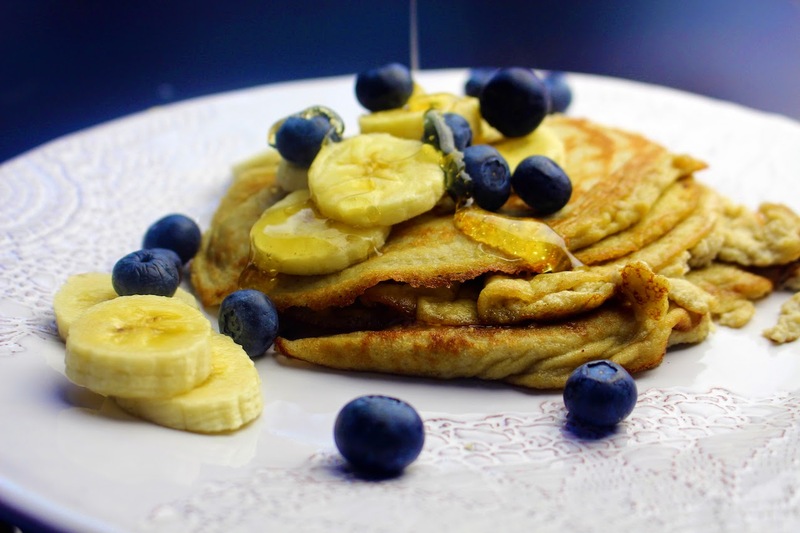 I would not have guessed that you could make pancakes with just banana and egg, so simple but they look so good. My bananas aren't ripe enough yet so I'll have to wait a while before I try these. Lovely pics Dom – though let me advise your readers without Nutribullets or similar gadgets that you can do this with a fork and a bowl! Just mash the banana well and beat in the eggs and you're done. They are a very good protein-rich breakfast, but they do taste a little more omelette-y than regular pancakes (at least, to me they do). All good though! It is amazing. I feel like I've discovered gold in pancake form! Thanks C. The light was just perfect last night for photographs. Well worth making again. You MUST have heard of a nutribullet they're the new gadget!! Seriously Charlene. Go for it. You won't regret it. That's the thing right? They're so handy. Easy to whip up and a healthy snack. Well however you make them they taste incredible!! I know. I'm such a sucker too! Don't worry about the neighbours. Share the love!!! I couldn't wait!! But you can save them for a better time! Well of course Lucy I normally agree with everything you say but there's something about the light fluffy texture that only comes from mechanically whipping them… Probs why mine didn't taste like banana omelette! 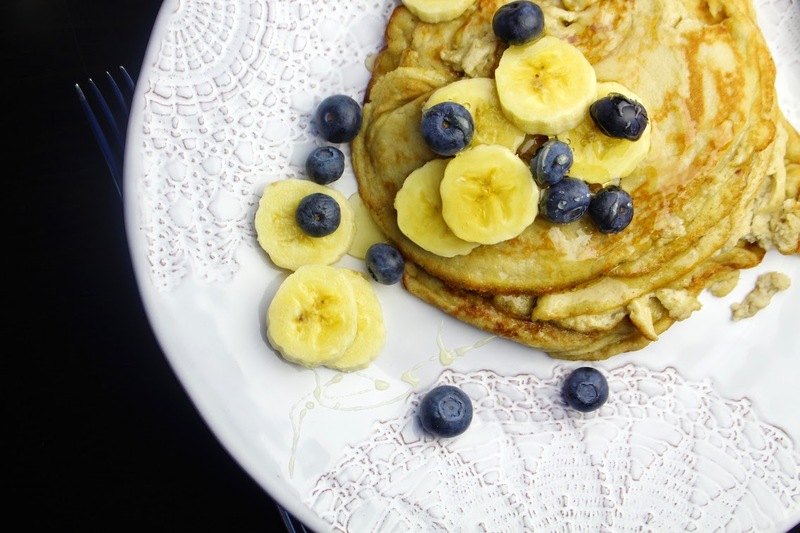 Your banana pancake looks gooooood. Would find some time to try this! As my last two blog posts were about my NutriBullet and then pancakes it seems as though fate is telling me to make these. My friend made these and said they were like a banana omelette! Your description sounds better and may persuade me to try them. Hers didn't'! I am so glad I am not the only ingredient hoarder in the world! These look lovely. What a clever idea! Thanks for entering into Treat Petite! Please can you mention our theme this month of 'Love Is In The Air' and how the bake fits the theme? Thank you! I love this! How brilliant and easy and I must say they look delicious. Yes pancakes are a way for us to drizzle syrup and in the US we love a good slather of butter too. Yummy with fruit on top! Have a wonderful day! Brilliant! I have a load of frozen banana in the freezer…… I will be making these very soon! How good is this. My magic bullet has been working overtime since I got it at Christmas. Wish I had thought about mixing my normal pancake mix with it too on Shrove Tuesday. (although the littlies do like the tactile whisking tasks – it makes them feel like they are cooking). 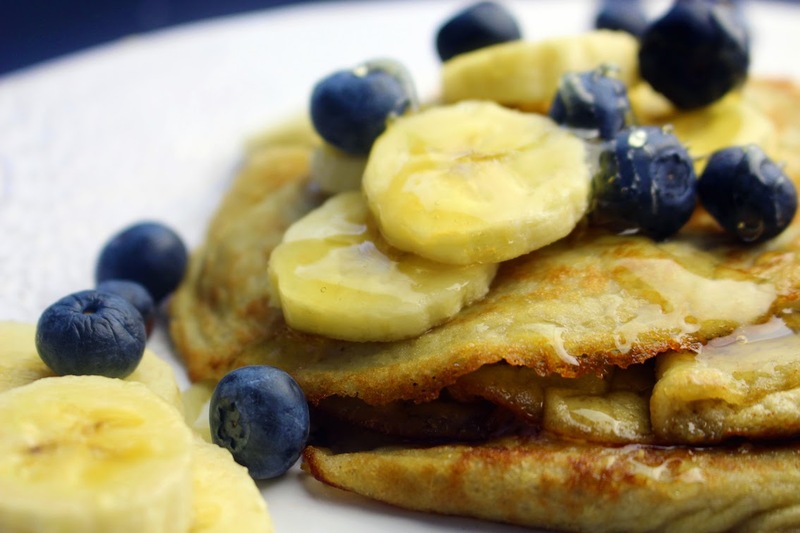 No flour – well must give these a try next time I make pancakes. Just two ingredients:that's great and what a beautiful colour!!!! These look so yummy! 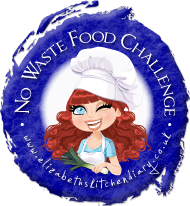 Thank you for sharing with the no waste food challenge and my apologies for taking so long to visit and comment! Would this recipe work with apple sauce textured apples? Im on a special diet and can't eat bananas.